I know, everyone thinks the best time to come to New Hampshire is October, and October is a beautiful time of the year. It seems that November gets a bad rap for all the things it doesn't have; brightly colored leaves, apple picking, the last of the outdoor festivals. But there is plenty to love about November, days perfect for hiking without bugs and crowds, seeing the solid sturdiness of the trees, planning for Thanksgiving, the first of the seasons warming fires in our fireplaces, the quiet, natural calmness that surrounds us. Here in the Monadnock Region of southwest New Hampshire we look forward to the start of the Christmas Craft Fairs, Stonewall Farm's Thanksgiving Farm Fare, League of New Hampshire Craftsmen Open Studio Tour, putting our gardens to bed and picking the last of the Brussels Sprouts for Thanksgiving dinner. 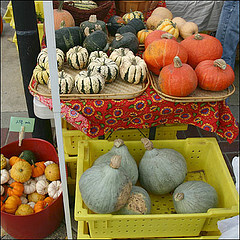 Farm stands are still selling winter squash, root veggies and cold hardy greens. There are still plenty of reasons to take a weekend jaunt to New Hampshire or if a mid week escape is possible, you can get an even better deal. Get a start on your Christmas shopping at local artisan shops where you can support local people that live, work and create right here in New Hampshire.